Alfred Lee Lanz was born June 3, 1943, in Eugene, Oregon, to Fred and Drotha Lanz. He went to be with his Lord and Savior on February 2, 2019, in Albany, after a long but courageous battle with Parkinson’s disease. He is survived by his wife of 24 years, Dona Jo; his brother, Eugene of Creswell, Oregon; his sister, Betty Littlejohn and her husband, D.L. of Eugene; his daughters, Beverly Gates and husband, Gary of Graham, Washington and Mandy McGuire and her husband, Pat of Lorane, Oregon. He welcomed into the family stepson, Tom and wife, Misty of Kalispell, Montana and his step-daughter, Samra and husband, Rob of Sisters, Oregon. He also loved and was survived by his grandchildren, Christopher, Garrett, and Aaron, who he helped raise after Wendy’s death, Bryan, Brandon, Dylan, Shelby, Zachary, Mallory, Cade, Logan, Sophie, Savannah and Allie. He also had eight great-grandchildren; and many nieces and nephews. He was preceded in death by his daughter, Wendy, in 2005. A graveside service will be held at noon on Saturday, February 9 for family at Miller Cemetery in Scio. 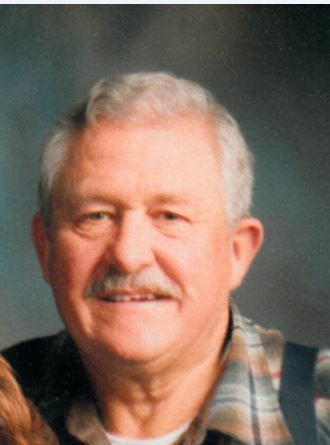 A memorial service for everyone will follow at 1 p.m., at the Scio Baptist Church with a potluck following.